Three Bridges have won the Crawley Indoor League Division 2 after beating Barns Green in a winner-takes-all game. Bridges had only lost one game this season and Barns Green had lost two, so the winner of this match determined who would take home the title. Barns Green batted first and scored 142-4 thanks to Tom Haynes (51*) and W. Haynes (34*). 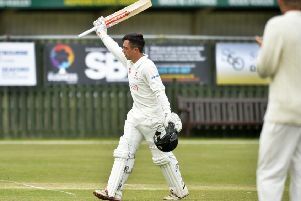 In reply, Bridges reached the title in the penultimate over, mainly thanks to captain Luke Johnson (37), Brodie Chalcraft (43) and Dylan Jayne (30*).